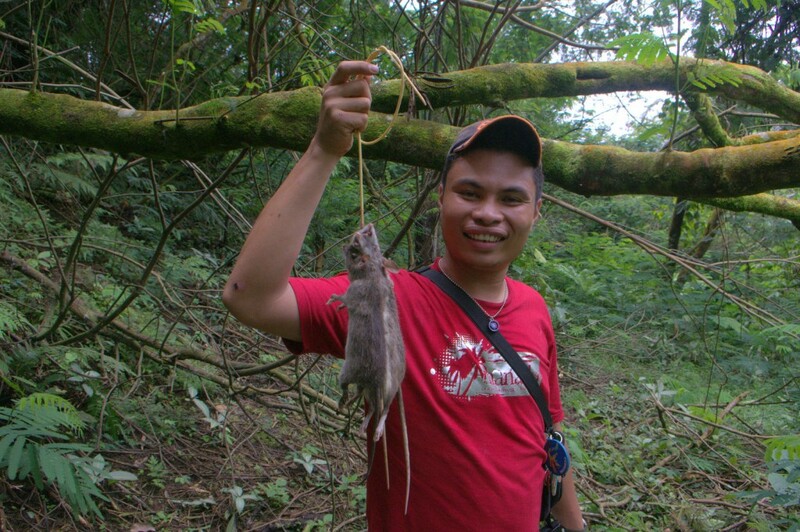 Rat Hunting is both hobby and occupation of some local people. 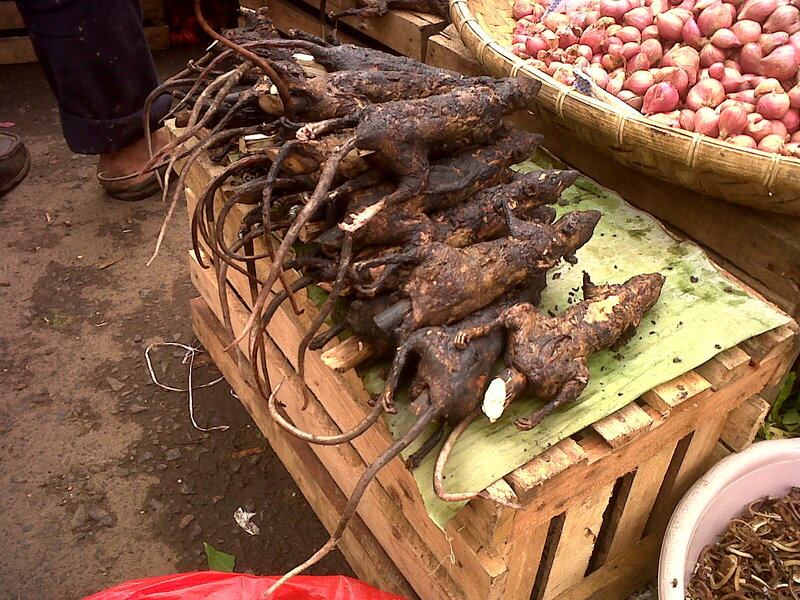 Whenever you visit traditional market in Tomohon, you will see several parlors sell rats. 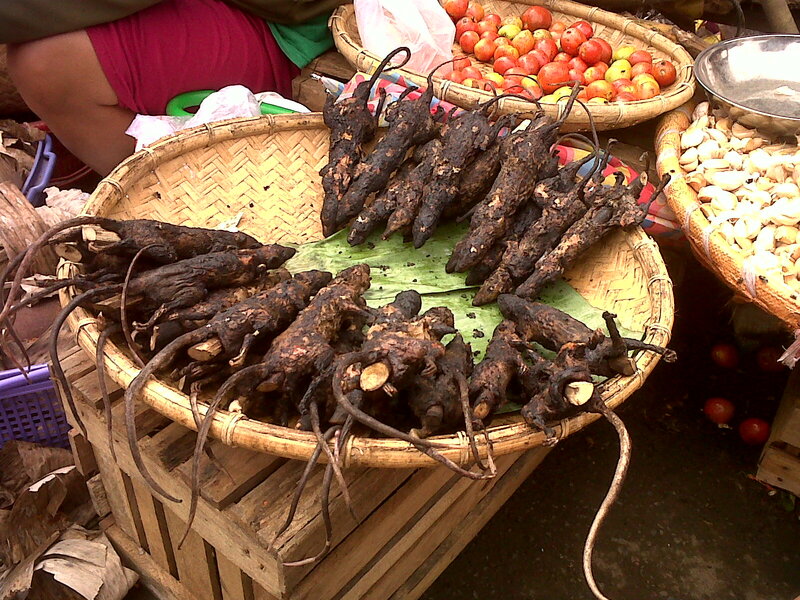 People in Northern peninsula of Sulawesi eat rats because in the past they did not have the habit of domesticating animals for livestock. They live from whatever the jungle prepare for them. The contact with western people did not fully changing their habit too. We can say that the habit is well preserved. 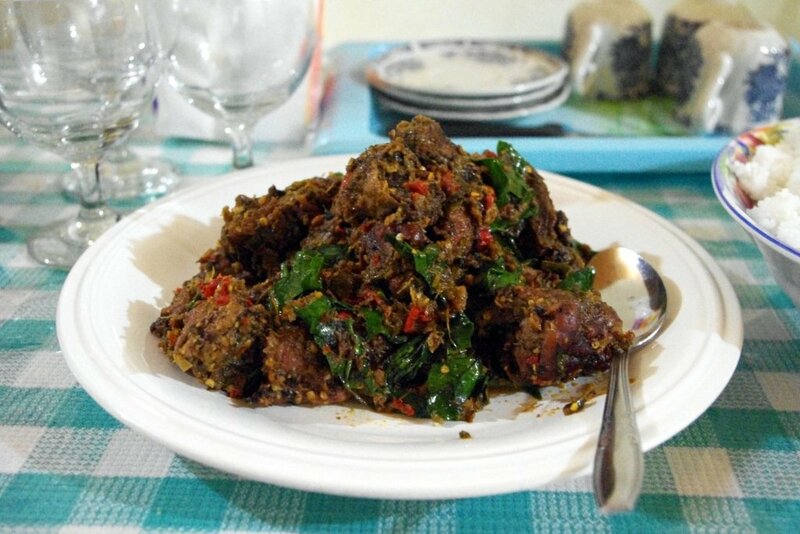 If other people has their delicacy, so does Minahasa people. 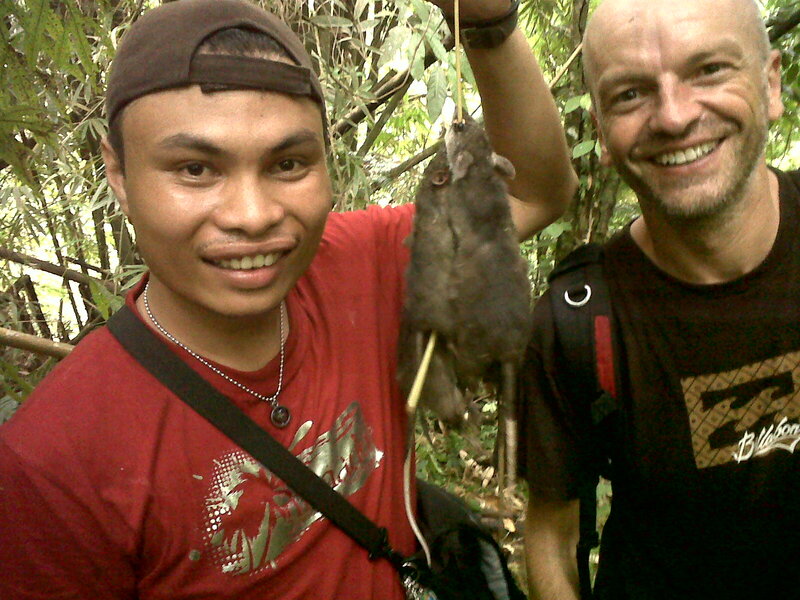 Rat hunting is an interesting activity in the jungle. 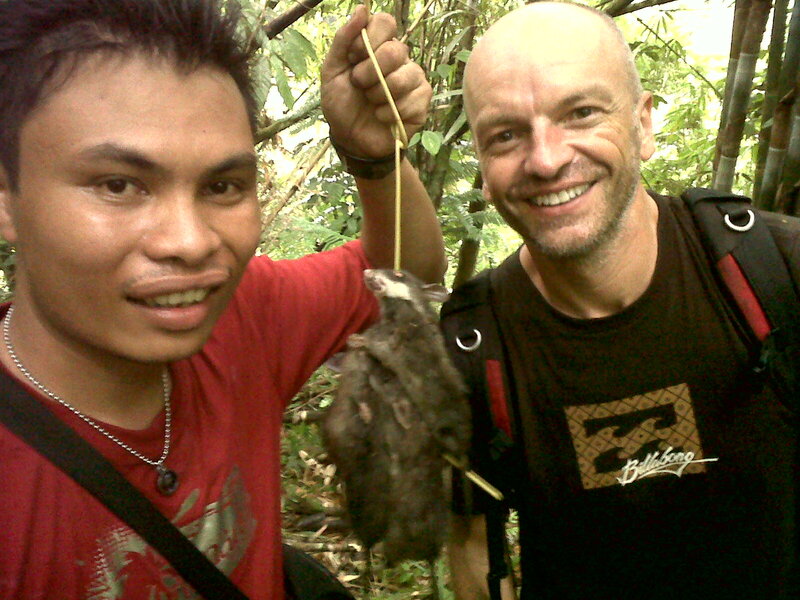 While hunting rat, people can see explore the jungle too. In the jungle, many birds and other animals are visible too. Around this jungle, we can see some barred rail, blue face rail, some pigeon and sultan’s cuckcoo dove. 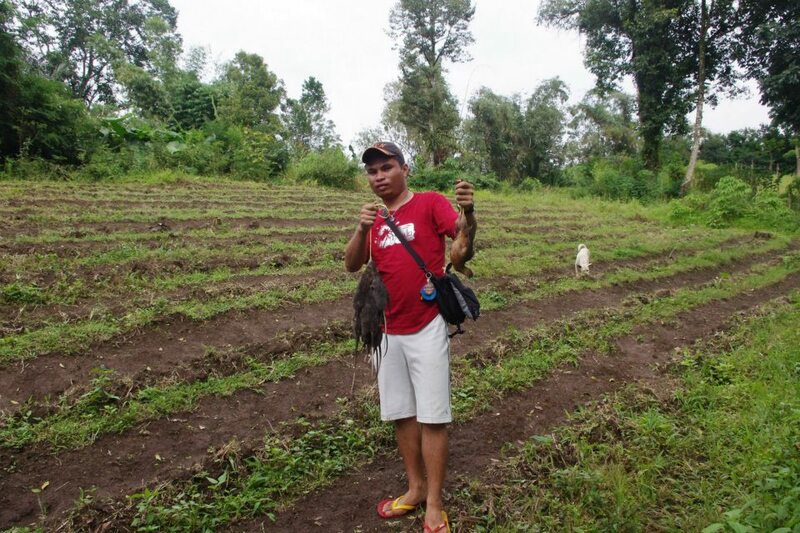 Rat Hunting in Tomohon is divided into 3 (three) different ways. These are hunting with dogs, air guns and using traps. Local people use one way that become their favorite. They also choose the way that is suitable with the hunting territory. Nonetheless, jungle is the only hunting area. People here don’t eat rats who live close to human resident. First is hunting with dogs. It is normally done in the day time. The hunter will go with the dogs to the jungle. And then they will choose the location. Most of the time, they choose the hunting arena around bamboo bushes. The rats usually has their nest in this area. This is very interesting. Because you will see hunters and animals work together to bring out the rats of its nest. Second, hunting with air gun. It is normally done at night. People who hunt with air guns usually lives nearby the rice field area. Some of them has the ability to call out the rats by copying the rats’ sound. At the other hand, white tail rats usually become active during night time. However, This can be done only in particular time. The third way is to use the traps in the ground. Hunters usually prepare some tools made from plastic buckets. They will dig hole in the ground, put some baits. And then, they will cover the buckets with dry leaves. They will leave it over night. Then next day day will check it. Most of the time they will capture some rats in this trap. Among these ways, hunting with dogs is the most favorite. Because it can catch many rats. And it can be done during day time too. Hunting rats normally takes several hours in the jungle. 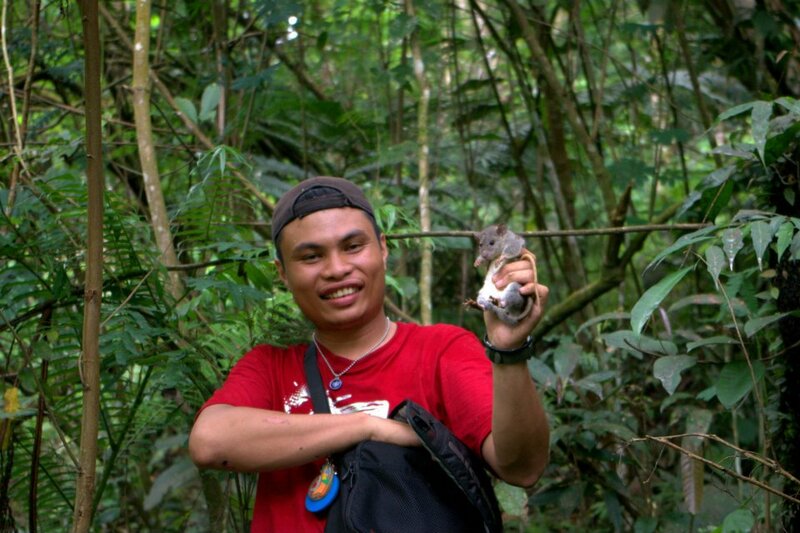 This trip invites you to join several local people hunting rats in the jungle. We will go together with them and their hunter dogs like in the first, or with air gun or do it in the cage. It is recommended that only the one who is really fit can do the first and second way. The grown up and kids may only do the last one. After that you will be see how they prepared the rats. You also are welcomed to participate both in hunting and food preparation. Note: Although older people can take this trip, but this is designed mainly for the youth and for those who are really into new culture and extreme cuisine. While not for the faint of heart, this experience is truly exceptional and unique. Ben picks you up from your hotel and then takes you to the Tomohon Traditional Market where you can see all manner of fruits, vegetables, and of course animals for sale. Afterward you meet the hunters and head out into the jungle for a very full day of rat hunting. Ben explains everything along the way as you make your way through the dense jungle in search of rats. It's a one-of-a-kind experience for sure! Highly recommended!